Previously we have looked at wrong motivations for work and work as part of creation. But there is more to work than just ordering and reordering the world in which we live. By our work we produce something that society can share. Society is a web of relationships where people can share things together, and care for one another. Sharing does not imply giving something away for free. Money is a way of ordering our sharing. This gives us another way to think about our work. Our work allows us to share God’s good gifts with others so that we promote communities where people care for one another. This also gives us a good way to judge our work. How much does it promote sharing within a society that cares for others? Some jobs may not directly lead to sharing, but set the framework for which others can care for each other. Garbage removal is a great example. It also gives us criteria where work might be declared bad. If work is pointless, then that would be bad work. If work harms or destroys caring communities, that would be bad work. So as we evaluate our work we can see how it fits into promoting sharing in caring communities. This is something important for Christians to do, so that they can bring their Christian worldview with all its insights to bear on their work. Christian thinking has much to offer our workplaces. It is also an important task for managers to help their employees see how their work contributes to sharing in caring communities. There’s a truck load of thinking to be done in our churches as we consider how we work and where it fits in. Having looked at some of the common motivations for work in part 1, let’s begin to look at what the Bible says about work. We see right from the start that we are created to work. That’s our place in this world. In Gen 1:28, after God makes humanity, he tells us to ‘Be fruitful and increase in number; fill the earth and subdue it. Rule over the fish of the sea and the birds of the air and over every living creature that moves on the ground.’ From this we can see that part of our work is subduing the world. This is to rule over created things. Here we take the things of this will and bend them to our purposes. It’s part of what it means to be made in God’s image (1:26). We dig metal from the ground, melt it and bend it to good purposes. We beat the air into submission as we fly from place to place, we marshal resources together as we build cities and infrastructure. There is no sense in Gen 1 however that these purposes would be for anything other than the good of humanity and the environment. There is no licence here for ravaging the earth in service of our own greed. 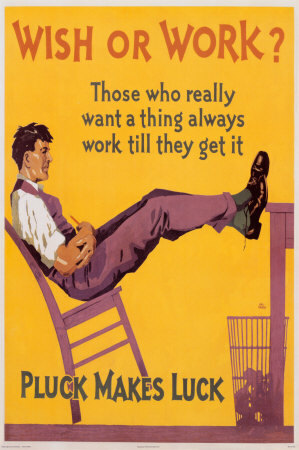 This leads us to a complementary point about work. In the parallel creation account in Genesis 2, we see that in the Garden of Eden humanity is to ‘work it and take care of it’ (2:15). We also see the work of naming the animals in 2:19-20. This is the ordering and re-ordering of the world. Far from ravaging the earth we are to bring order to the land. 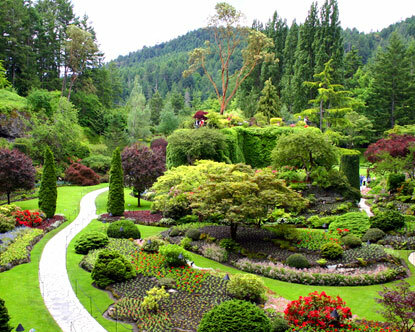 God does not picture paradise as a wild, untouched ecosystem, but a garden that is worked and taken care of by people. This is the ordering of the earth so as to bring fruit from the ground. The work of ordering is to make the world productive for the support of life – all the kinds of life. This is farming (cropping and pastoral), environmental planning and management, irrigation, water supply, fishing, warehousing, transport, distribution and much more. Now the effects of sin have again had dramatic effect on our ability to order, often with our ignorance or greed leading to widespread environmental damage. But that doesn’t lessen our responsibility to do the work of ordering and re-ordering. All this work happens before Genesis 3 and is therefore good. Sin affects our work, but not so that it takes away from its inherent goodness. But there are more dimensions to work than just what we do as we interact with the environment in which we live. There is also a social dimension. Why do we work? What is the point? What can we hope for from work? What did he discover from his foray into construction, horticulture, landscaping, trade and animal husbandry? He found personal fulfillment: ‘ My heart took delight in all my work, and this was the reward for all my labor.’ (2:10). He increased his reputation: ‘I became greater by far than anyone in Jerusalem before me.’ (2:9). He found power to consume: ‘I amassed silver and gold for myself, and the treasure of kings and provinces. I acquired men and women singers, and a harem as well– the delights of the heart of man. ‘ (2:8). Don’t these themes sound familiar today? Much of the motivation in the workplace could fall under the categories of seeking personal fulfillment, improving your reputation and gaining the power to consume (earning money to spend). As intoxicating as his achievements were, they didn’t last. As happens to all of us, time got the better of him. As the cliche, goes, very few people wish they had worked harder on their deathbed. Retirement and ultimately death rob us of the satisfaction of a career. This all sounds fairly bleak. Is there any good to be found in work? What about from a Christian perspective? Are there right motivations for Christians to work? Early Church or Mega Church? Acts 4:4 But many who heard the message believed, and the number of men grew to about five thousand. Many people like to attach a size to what they consider to be a biblical church. ‘A biblical church is a house church’. ‘Once your church gets over about 200 it’s no longer following the biblical model’. What we see in the Bible, though, is all sorts of different size churches, from house churches to mega churches. And which came first? The mega church. In the first four chapters of Acts we see the church grow to 3,000 people and then on again in chapter 4 to over 5,000 (Luke records 5,ooo men – if he’s only counting men then we could more than double this figure). Who knows what this meant for their meetings and organisation? 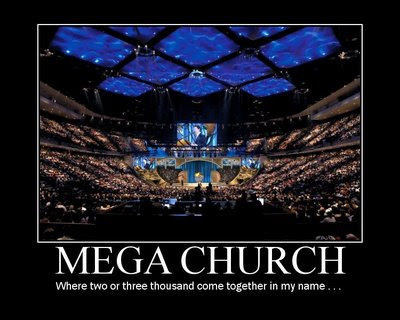 Despite whatever faults or flaws we may see in mega churches, their are biblical in proportion. Wouldn’t it be great if many more of our churches grew to that size! If I were a non-Christian reading these words of Jesus I couldn’t help but notice the incredible arrogance of the statement. Jesus is that almost everyone of any importance in Israel’s history wanted to see Jesus. It’s akin to saying, ‘You guys are awesomely privileged beyond anyone in our national history because you get to hear and see me‘. It’s breathtaking! Not only that, but he has just claimed that he alone can teach us about God (his Father). These are hardly the words of a ‘good teacher’ as so many people think Jesus was these days. When I read these words as a Christian I find myself profoundly agreeing with Jesus. The disciples were incredibly privileged to be eye and ear witnesses of Jesus, who was God himself walking among us on earth. Thank God that they recorded what they saw and heard in the Bible for us so that we too can have Jesus reveal to us the Father as we read the Bible. My wife Simone and I lived in Sale for nearly nine years. During that time we really loved the town and the people. We saw the birth of the first three of our four children in Sale. As my time in the RAAF was drawing to a close we decided that the most loving thing we could do for Sale was to move away, be well trained in ministry, and then return to plant a Reformed Evangelical church. This is exactly what we are in the process of doing. I’ll finish my training at Moore Theological College at the end of this year and then we’ll return to Sale to start Flooding Creek Community Church. Others have caught this vision and are excited to join us in this project. We are now a growing group of Christians looking to introduce as many people in Sale to Jesus as possible. Sale is a town of 15,000 people, the vast majority of whom do not know Jesus. The days are short and we need to reach the town with the saving message of the gospel. The best way to do this is to plant a Reformed Evangelical Church in Sale. The RAAF Base at Sale is a training base which every officer who joins the RAAF will visit for at least four months. Christian ministry onto the base has a national, even international, impact. Gippsland needs Evangelical churches. There are some great churches in Gippsland, but there are not nearly enough. Sale is geographically central to Gippsland and a great base from which to plant more Reformed Evangelical churches in Gippsland. Please join us on this important adventure. If you live in Sale then we’d love to talk to you about joining with us. If you live elsewhere, why not come with us for a gospel adventure in Sale? We covet your prayer and financial partnership also. All the details you need are on this site.